Ferrero recognizes that deforestation and forest degradation is a critical issue of the global cocoa supply chain. Deforestation threatens to undermine the very resilience of the cocoa sector itself and with it the livelihoods of the millions of smallholders who depend on it. There is cocoa farming happening in High Conservation Value (HCV) areas in West Africa, where farmers have been growing cocoa for many years. Ferrero is committed to working on the challenges to end deforestation in the cocoa sector, as well as implement key principles and strategies that underpin socially and environmentally sustainable cocoa production. Ferrero signed the New York Declaration on Forests by the United Nations and endorsed the HCS Approach (HCSA), a methodology enabling companies to understand forest areas to be protected for their high carbon and biodiversity values. Additionally, Ferrero signed the Cocoa and Forests Initiative letter of intent in March 2017. This framework involves key industry members and is organized by the International Sustainability Unit, the World Cocoa Foundation and the Dutch Sustainable Trade Initiative. Its goal aims to develop an actionable suite of measures to end deforestation and forest degradation, such as investments in more sustainable forms of landscape management and more active partnerships to protect and restore forests in the cocoa landscape. 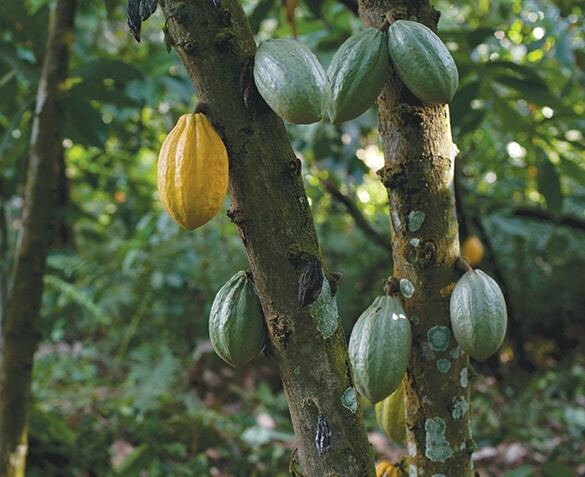 Ferrero expects the Cocoa and Forests Initiative to commit to a clear cut off date by which industry will have implemented traceable sourcing to farm level. Furthermore, by 2018 Ferrero will have mapped 100% of its cocoa supply chain to farm-gate level (we are perfectly on track with our targets and today already over 50% is mapped). This allows us to identify areas of intervention such as reforestation and the distribution of local shadow trees. Moreover, we are working together with Airbus Defense and Space on a project, already successfully launched in our palm oil supply chain, that uses satellite maps to closely monitor land-use change over time. Safeguarding natural capital, in particular the last remaining forests in cocoa growing countries, is a priority for us: we will support the financing of collective and individual efforts throughout partnerships and programs. With respect to better livelihood of farmers and their communities, we will continue our work through partnerships such as the ones established with Fairtrade & Cooperative Union ECOOKIM as well as with Save the Children. Ferrero welcomes the assessment and input by third parties, such as Mighty Earth, which will support Ferrero in achieving its goals, in line with both its internal policies and the Cocoa and Forests Initiative. The Ferrero Group and its affiliated companies (“Ferrero”), a global confectionary group, today announced a definitive agreement pursuant to which it will acquire the U.S. confectionary business from Nestlé for $2.8 billion in cash. Nestlé’s U.S. confectionary business generated sales of approximately $900 million in 2016. Ferrero will acquire more than 20 American brands with a rich heritage and strong awareness, including iconic chocolate brands such as Butterfinger®, BabyRuth®, 100Grand®, Raisinets®, Wonka® and the exclusive right to the Crunch® brand for confectionary and certain categories in the U.S., as well as sugar brands such as SweeTarts®, LaffyTaffy®, and Nerds®. With this transaction, Ferrero will become the third-largest confectionary company in the U.S. market where it is best known for Tic Tac® breath mints, Ferrero Rocher® pralines, Nutella® hazelnut spreads, the Fannie May and Harry London chocolate brands, and the Ferrara Candy Company, which was recently acquired by a Ferrero affiliated company and whose portfolio of brands includes Trolli®, Brach’s® and Black Forest® Gummies. Ferrero will acquire Nestlé’s U.S. manufacturing facilities in Bloomington, Franklin Park and Itasca, Illinois, and the confectionary-related employees, and will continue to operate through the offices in Glendale, California, as well as from its other current locations in Illinois and in New Jersey. “Our commitment to deliver value to the North American consumers and customers will be strongly enhanced by the arrival in our portfolio of such powerful confectionary and chocolate brands,” said Lapo Civiletti, CEO of the Ferrero Group. The transaction is subject to customary closing conditions and regulatory approvals and is expected to close around the end of the first quarter of 2018.
Credit Suisse Securities, Davis Polk and Wardwell LLP and Lazard served as advisors to Ferrero. Ferrero signs Frameworks for Action to end deforestation and restore forest areas in cocoa producing countries Côte d’Ivoire and Ghana. At the UN Climate Change Conference (COP23) in Bonn on 16th November 2017, the Ferrero Group committed to the Frameworks alongside other chocolate and cocoa companies, with the aim to improve forest protection and restoration, sustainable cocoa production and farmer livelihoods. 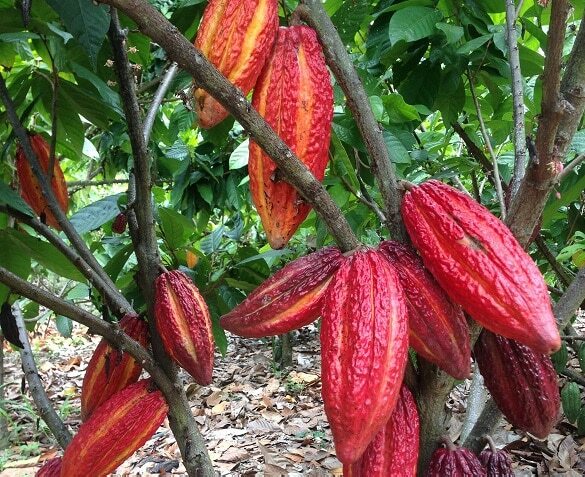 As part of these Frameworks in Côte d’Ivoire and Ghana, the chocolate and cocoa industry will put in place verifiable monitoring systems for traceability from farm to the first purchase point for their own purchases of cocoa. The industry will also work with the governments of Côte d’Ivoire and Ghana to ensure an effective national framework for traceability for all traders in the supply chain. 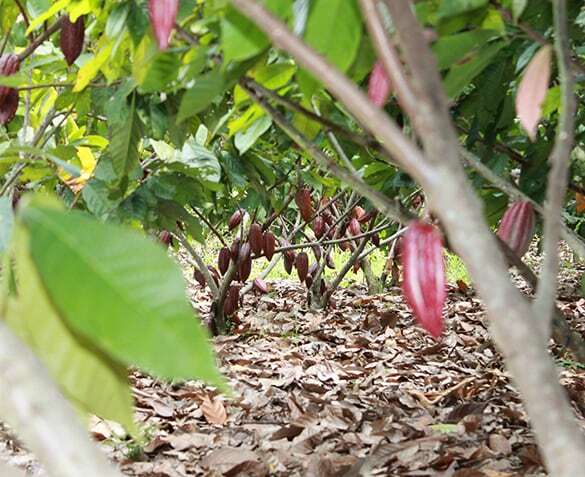 “Ferrero is committed to working on the challenges to end deforestation in the cocoa sector, as well as implement key principles and strategies that underpin socially and environmentally sustainable cocoa production” said Aldo Uva, Open Innovation and Chief Operation Officer Strategic Business Units of the Ferrero Group. This latest commitment is an important milestone for Ferrero and evidence of its dedication to a sustainable and responsible cocoa supply chain. It follows the signing of the New York Declaration on Forests by the United Nations, which Ferrero committed to in 2014, and the Cocoa and Forests Initiative in March 2017. At the same time, Ferrero remains dedicated to its ongoing work to map 100% of its cocoa supply chain to farm-gate level, as well as its partnerships to improve the livelihood of farmers and their communities with partners like Save the Children and Fairtrade & Cooperative Union ECOOKIM. As part of its Corporate Social Responsibility strategy, Ferrero continues to engage in certification programmes, institutional engagement and projects and partnerships, with the aim to safeguard the future of the cocoa sector, supporting and improving cocoa farming sustainability. 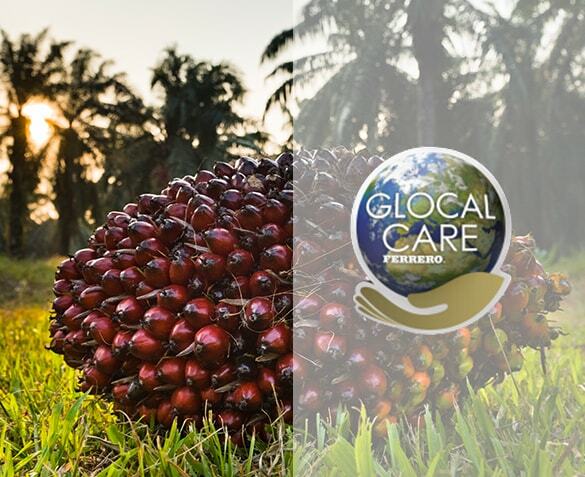 Ferrero’s palm oil supplies come from 100% RSPO certified and segregated oil, whilst our Ferrero Palm Oil Charter demonstrates our commitment to take our supply chain beyond RSPO requirements. A key factor in doing this is our continuing work in maintaining robust traceability, which allows us to understand the origins of our supply. This information means we can work more efficiently with suppliers. In 2016 Ferrero faced several challenges regarding its major suppliers' efforts towards good practices and maintaining the RSPO certification. 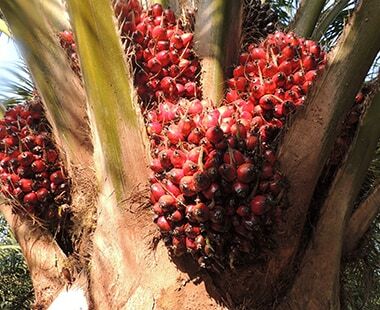 In fact, despite the long term cooperation with suppliers, and our constant commitment to lasting partnerships with them, the dynamics in the palm industry in 2016 compelled us to look at new suppliers, thus altering our supply chain. However, we continued to invest in 100% SG certified palm oil and maintain full traceability even during the shortage periods of some SG certified palm oil products. Furthermore, this alteration provided us with the opportunity to engage, learn and at the same time elevate the practices on the ground. 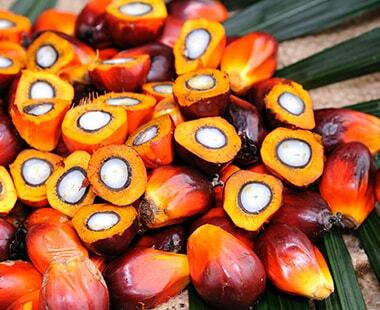 This also enabled us to ensure that the new suppliers fully acknowledge and endorse the Ferrero Palm Oil Charter, whilst more established suppliers align with it. We understand our suppliers play a crucial role in supporting our journey in sustainability. Without their support, we would not be able to offer consumers our high quality and fresh products. As a result, we place a lot of importance on our supplier engagements. Besides regular interactions at events such as the RSPO Round Table, we also meet our suppliers and continuously engage with them to ensure the implementation of our Palm Oil Charter in line with our roadmap. In order to establish an in-depth discussion with our supplier we piloted a self-assessment questionnaire to selected suppliers in January. Through the feedback from the pilot assessments, we were able to identify the supplier’s status on social and environmental topics, key challenges they are facing on the ground and various gaps compared to the Ferrero Charter. By the end of 2017 we will roll out the assessment to all our suppliers. Findings from the assessments will then be the focus of future discussions. In May 2017, the Ferrero team, together with our sustainability partner, TFT, visited key suppliers in Malaysia and Indonesia. The purpose of this trip was to firstly discuss the findings from the pilot self-assessments and to secondly experience first-hand the practices that are being undertaken by the suppliers in terms of managing labor and environment related issues. These field visits provided essential information to the development of individual roadmaps for our suppliers in order to fulfil the Ferrero Palm Oil Charter requirements. The three-way discussions carried out between Ferrero, TFT, and our suppliers during the field visit were tailored to the self- assessments and suppliers’ challenges and gaps identified in comparison with the Ferrero Charter. These discussions provided Ferrero and TFT with the opportunity to develop a clear roadmap essentially oriented around labor related matters, as well as to define solutions to improve the shortcomings. These tailor-made roadmaps will be systematically shared and discussed with our suppliers, and will constitute a key part of our Palm Oil Charter implementation framework. Accordingly, our Verification Protocol will serve as the basis for the assessment carried out by our auditing partner Bureau Veritas. Ferrero is continuously committed to finding innovative solutions that support our efforts towards a more sustainable development. With this in mind, whilst building on our grower level traceability achievement, Ferrero started piloting a geospatial assessment to monitor forest cover change by using a combination of different remote sensing technologies on selected plantations of our supply chain. The service called Starling has been developed through a partnership between Airbus Defence and Space, The Forest Trust (TFT) and SarVision. It is able to provide real time updates on deforestation in the areas identified for monitoring. Following positive results of the testing phase, in May 2017 Ferrero embarked on Phase 2 of this project. The service is used in selected priority areas based on land cover within and around the sourcing concessions as well as on the importance of the supplying parent company to Ferrero. 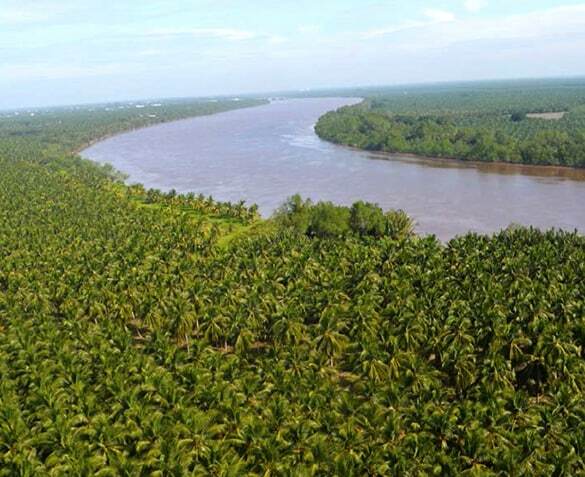 We are confident this could be the start of a successful journey in verifying the implementation our No Deforestation commitment within our palm oil supply chain. 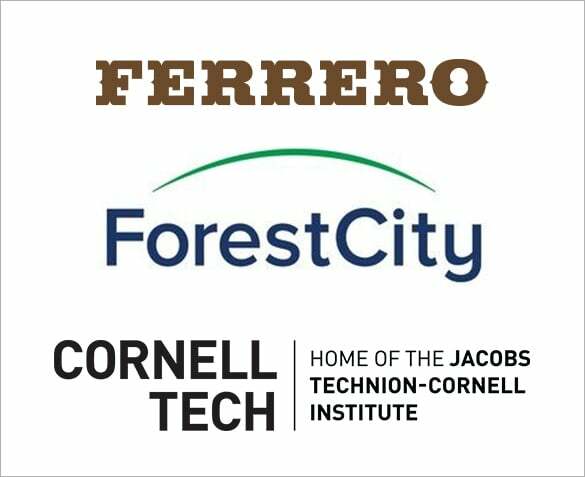 NEW YORK - Forest City New York today announced that Ferrero International S.A., the Italian confectionary group and one of the world’s largest manufacturers of chocolates, will take space at The Bridge at Cornell Tech. The Bridge is a first-of-its-kind building that will house an extraordinary mix of cutting-edge companies working alongside groundbreaking Cornell academic teams: from recent Cornell Tech graduates hustling to commercialize a new idea, to start-ups on the verge of explosive growth, and established companies developing leading edge technologies and products. At The Bridge, Ferrero’s Open Innovation Science division will drive discovery, evaluation and integration plans of relevant external science, technology and entrepreneurial innovations. Their strategic approach will be based on the identification of opportunity areas at the intersection of technology, macrotrends, and Ferrero business priorities. Alongside Cornell University students, faculty, and other innovative companies at The Bridge, Ferrero will explore technologies and innovations that could improve Ferrero products and operations, deliver optimization of nutritional value, drive improvements to product protection and packaging, and identify biotech transformations. “We are thrilled to join the community at The Bridge. With the opportunity to work with Cornell Tech and be among other companies committed to change and innovation, we will develop cutting-edge research and technologies that will have transformational effects on our products and business,” said Giovanni Battistini, Vice President, Open Innovation Science at Ferrero. “The ramp up of the Singapore Innovation Center last June and the New York new location at Cornell are two key milestones in our strategic approach to Open Innovation," said Aldo Uva, COO at Ferrero. The Bridge at Cornell Tech offers the opportunity for a limited number of start-ups and established companies pushing the edge of digital technology to be on the Cornell Tech campus. Forest City is selecting a diverse mix of startups and established companies from a variety of industries to create an ecosystem of companies focused on catalyzing innovation and the commercialization of new products and technologies, driving economic growth for New York. Pioneering tech and investment firm Two Sigma, where the company will open a new Collision Lab. Engineers from Two Sigma’s R&D team will tackle difficult challenges away from the company’s main campus and interact with innovative startup companies backed by Two Sigma Ventures, a division of Two Sigma. The Collision Lab will also serve as a tool for Two Sigma to retain and attract the best talent by providing unique access to Cornell Tech’s dynamic ecosystem of innovation. The Bridge will open on Roosevelt Island in September as part of the first phase of the Cornell Tech campus. Citigroup, which will tap into the expertise of Cornell Tech students and faculty to work closely on new capabilities and emerging technologies such as blockchain, machine learning and big data applications, biometric authentication, Internet of Things, and cyber security. The collaboration with Cornell Tech will provide faculty and students the opportunity to work with Citi in exploring real-world solutions for Citi’s clients and customers, through Product Challenges in Cornell Tech’s Product Studio class (also located at The Bridge) where student teams develop innovative new digital solutions working with companies and nonprofits. The Bridge is the only building in New York City designed and built to leverage the resources of a cutting edge research university, removing all barriers to collaboration and innovation with the world’s most cutting-edge companies. For more information, visit www.thebridgeatcornelltech.com. Ferrero will take 4,200 square feet at The Bridge. CBRE’s Mary Ann Tighe, Evan Haskell, David Caperna, Evan Fiddle, Sacha Zarba and Ross Zimbalist brokered the lease on behalf of Forest City New York, and Jacqueline Klinger and Ian Rice from SCG Retail represented Ferrero. The Bridge will open in September at the Cornell Tech campus on Roosevelt Island, along with The Bloomberg Center – in honor of Emma and Georgina Bloomberg, the first academic building on campus, and The House, a residential building for graduate students, faculty and staff that will be the world’s largest Passive House. The Ferrero Group announces a new governance with the appointment of Mr. Aldo Kaslowski to Ferrero Findik's and Ferrero Cikolata's Board Presidency starting from September 4th. Mr. Aldo Kaslowski has a long-standing and extensive knowledge of Turkish and Italian business in Turkey and his experience will contribute to the evolution of Ferrero's presence in Turkey. Ambassador Carlo Marsili, Ambassador of Italy to Ankara from 2004 to 2010, will continue to serve as Honorary President and High Councilor for Political Affairs as he has done for the past seven years. 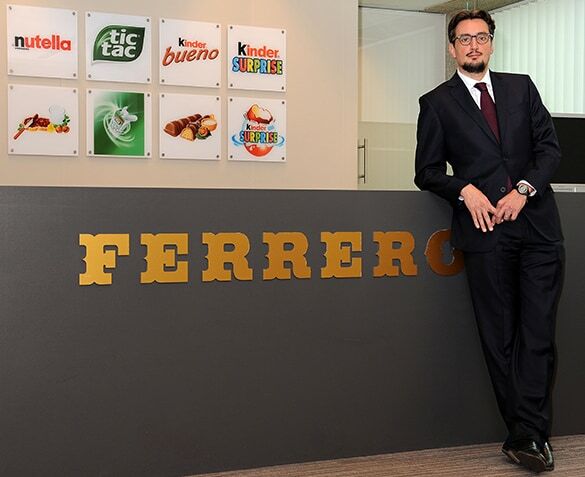 "The new Governance structure aims to strengthen the Ferrero Group's business in Turkey" said Marco Capurso, Chief Business Officer. Ferrero’s main activities in the country include substantial investments in the Black Sea hazelnut sector, in addition to its important production plant in Manisa, which is also developing as an important export hub to neighboring countries. Ferrero has taken on a leading role as a developer, manufacturer and exporter in the Turkish economy, and as such, creates great value through its investment and commercial and agricultural activities in Turkey. "The new Governance is further confirmation of the Group’s commitment to developing an increasingly closer and stronger relationship with the country" said Aldo Uva, Open Innovation & Chief Operating Officer of the Ferrero Group. 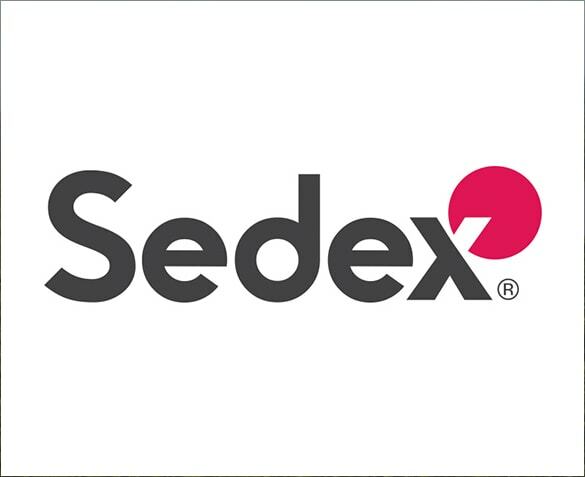 Ferrero and Sedex announce partnership to drive improvements in global supply chain. Ferrero will use Sedex’s global platform and industry leading tools and resources to gain further visibility of its global supply chain and engage with its suppliers to improve standards. In line with its corporate social responsible approach, Ferrero seeks to constantly enhance the transparency of its supply chain. For this reason, Ferrero is engaged with Sedex to develop coverage of social audits at all tiers. This will enable Ferrero to gain even greater insight into its global supply chain, beyond the direct sustainability impacts. Ferrero’s Group CSR approach aims to share values to create value throughout the whole value chain related to the major pillars of people and planet; from supporting local communities, to the people who contribute to the history of the company, by promoting active living, up to improving the impact of its activities throughout the entire supply chain. Ferrero believes it has an important role to play in responsible sourcing, and is choosing to work with Sedex. Jonathan Ivelaw-Chapman, CEO at Sedex, said “We applaud Ferrero for their leadership on sustainability issues and are delighted that such a well-known and respected global brand has chosen to work with Sedex to further strengthen its commitment to responsible sourcing”. Aldo Cristiano, Head of Global Procurement Raw Materials and Sustainability, said “Ferrero is committed to improving supply chain transparency. Sedex's tools and resources will enable us to further drive improvements in responsible business practices within global supply chains, by first operating in critical geographical zones and meeting our Corporate Social Responsibility approach related to sharing values to create value”. On 22 June, Ferrero received the ESMT Responsible Leadership Award. Representatives of Ferrero Germany accepted the award in Berlin. The award was presented in a festive ceremony by Dr. Dieter Zetsche, Chairman of the Board of Trustees of the European School of Management and Technology (ESMT) as well as Chairman of the Board of Management of Daimler AG. The ESMT Responsible Leadership Award recognises exceptional conduct in leadership with respect to responsible business practices. This year, Ferrero was honoured for its exceptional commitment to greater sustainability in the palm oil sector. Marco Vollmar, member of the management board of WWF Germany, emphasised in his laudation: “A handful of companies are delivering proof that good practices are possible in palm oil cultivation. Ferrero is very clearly one of them. Ferrero can trace the origin of almost 100 percent of the used palm oil directly back to the plantation. As a member of the Palm Oil Innovation Group, the company commits with stricter cultivation standards than the Round Table on Sustainable Palm Oil, for instance”. Ferrero was greatly delighted over the award. During the ceremony Ferrero representatives emphasised that acting responsibly and socially has a long tradition with Ferrero. “At an early stage Ferrero has made a strong commitment to sustainable palm oil and has set ambitious goals”, they said. “In doing so, the company champions sustainability in cultivation and production, as well as in improving conditions in producer countries”. The recognition of Ferrero’s commitment is a confirmation of the chosen path and encourages the company to expedite the use of sustainable palm oil. Previous winners of the ESMT Responsible Leadership Award included Mario Draghi, President of the European Central Bank, and the former Italian Prime Minister Mario Monti. On 22 June, Ferrero received the ESMT Responsible Leadership Award. Ferrero announces the official opening of the Ferrero Innovation Center in Singapore: the company’s first Asian innovation center located at the heart of one of the world’s leading innovation ecosystems. The new center is designed to strengthen Ferrero’s position as global innovation leader and will house several strategic innovation functions in the areas of health and nutrition, new raw materials and product research and development, consumer insight and foresight activities. At Ferrero’s innovation center, which has been supported by the Singapore Economic Development Board (EDB), a multidisciplinary team of experts in food science, biotechnology, nutrition, consumer insights, material science and design will engage with the vibrant Singapore ecosystem to foster the innovation process. 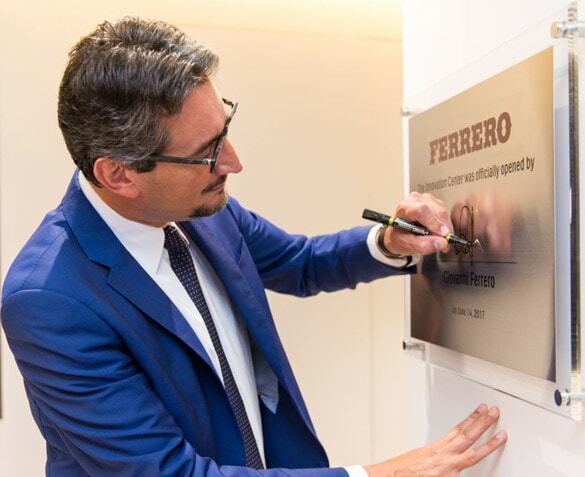 Ferrero Chief Executive Officer, Giovanni Ferrero, celebrating the opening of the new Ferrero innovation center commented: "Innovation has always been a core value for Ferrero. Our products are the result of a strong passion for quality and research. The Singapore innovation center will support Ferrero in its continuous pursuit of cutting edge technological solutions to offer our consumers the best quality products that provide always new taste dimensions”. The decision to place the Ferrero Innovation Center in Singapore was motivated by its strategic location in Asia and its prominent role within the global scientific research community, which includes among others, the Agency for Science, Technology and Research (A*STAR) and relevant universities. Singapore represents a dynamic and innovative environment where scientific talent and resources combine with diverse Asian consumer demographics. This offers an ideal platform for experimenting with novel technologies and raw materials with the aim to develop and test new products in a market of strategic importance for Ferrero. The center will operate as the Asian hub of Ferrero innovation. Giovanni Ferrero celebrates its opening. On 2 June 2017, the Belgian Court of Appeal in Brussels declared that the Belgian supermarket chain Delhaize must cease its incorrect communication against the use of palm oil. The Court of Appeal evaluated the argument brought forward by Ferrero and confirmed that Delhaize’s advertising for its sweet spread is incorrect and illegitimate. The Courts sustains Ferrero’s arguments that it is illegal to claim that a product without palm oil is de facto better for environment and has better nutritional qualities than one containing palm oil. Ferrero has always offered its consumers products of the highest quality and believes in the importance of providing them with objective and correct information to enable them to make free and informed choices. For these reasons, we fully welcome the Court’s decision, which represents a significant step in contributing to the circulation of impartial information. Ferrero hopes to move on from this and continue its fruitful relationship with Delhaize. Ferrero International S.A. is pleased to announce it has completed the acquisition of Fannie May Confections Brands, Inc. and the Harry London chocolate brands from 1-800-FLOWERS.com, Inc.. The acquisition includes all operations of Fannie May, together with the manufacturing facility in Ohio and two warehouse and distribution facilities, located in Ohio and Illinois. Fannie May will operate as a standalone entity under the Ferrero Group, with support from Ferrero U.S.A., Inc. as needed. At the same time, Ferrero U.S.A. will maintain its headquarters in Parsippany, New Jersey and its assembly and packaging facility in Somerset, New Jersey. With both founded on long family histories and iconic, high-quality brands, the union between Ferrero and Fannie May represents a strong strategic and cultural fit. Ferrero welcomes the new Report on Palm Oil and Deforestation, voted today by the EU Parliament. Ferrero is POIG member since 2015. The EU Parliament also recognizes that the High Carbon Stock (HCS) Approach supports the production of sustainable palm oil in providing a set of rules for the implementation of companies’ commitments to “no deforestation” in their palm oil operations and supply chains. Ferrero endorsed the HCS Approach in 2015 and integrated it in its own Palm Oil Charter and requires its suppliers to comply with. 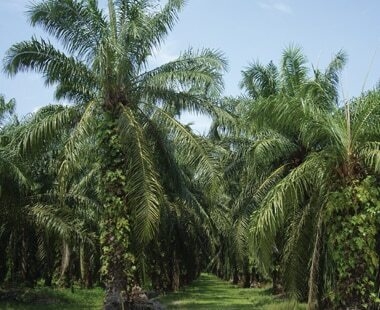 Furthermore, Ferrero supports the EU Parliament’s call on the Commission, and all Member States who have not yet done so, to demonstrate their commitment to signing and implementing the Amsterdam Declaration ‘In Support of a Fully Sustainable Palm Oil Supply Chain by 2020’. Finally, Ferrero underlines that a fully sustainable palm oil sector will only be possible through multilateral dialogue and cooperation involving all stakeholders. The Ferrero Group has decided to undertake a new governance set up to strengthen its competitive position in the chocolate and sweet packaged food market worldwide and accelerate growth momentum. The Ferrero Group’s entrepreneur and CEO, Mr. Giovanni Ferrero, will assume the role of Executive Chairman as of September 1st, 2017. As such, he will drive the Group by focusing on long-term strategies, new business directions and breakthrough innovation, whilst assuring continuity in the Company’s culture and values. Mr. Giovanni Ferrero will define and lead new pathways to enhance the Group’s growth and globalization, in addition to guiding the strategic functions and Boards/Committees of the Group. In order to secure the achievement of the Group’s business targets, Mr. Giovanni Ferrero has decided to appoint a manager in the role of Chief Executive Officer. In his role, the CEO will drive all the activities focused on the achievements of the short and mid-term results. Mr. Lapo Civiletti, a highly ranked internal leader, with an impressive track record of outstanding achievements will assume the role of CEO as of September 1st, 2017. “I am very confident that Mr. Lapo Civiletti will ensure continuity in reaching business goals and effectively support the Group in its growth objectives.” said Mr. Ferrero. “He has been chosen for his business acumen, vision and mission-driven orientation whilst truly fostering the Ferrero culture and core values”. The Group is committed to investing in its people, enhancing the talent, leadership skills and personal qualities of its managers. The new governance will furthermore enable Ferrero to evolve its business in the future and strengthen its position in worldwide markets. Mr. Lapo Civiletti as CEO, Ambassador Francesco Paolo Fulci as Head of the Institutional Affairs, Mr. Briano Olivares as Head of Strategic R&D, Mr. Aldo Uva as Head of the Open Innovation and Mr. Marco Borghesi as Chief Strategy Officer. Moreover, the Executive Chairman will provide guidelines to the Group Boards/Committees: Group Leadership Team, Audit, Advisory, Product, Appointment and Remuneration Committee, Business Innovation, Operations. Mr. Giuseppe Addezio as Chief Human Resources and Organization Officer, Mr. Patrick Baubry as Sales Business Development, Mr. Marco Capurso as Chief Business Officer Area Emerging (China, India, MEA, Asia Pacific), Mr. Lapo Civiletti as Chief Business Officer Area Europe, Mr. Giuseppe D’Angelo as Chief Business Officer Area International (UK, North, Central and South America, CIS and An-countries), Mr. Jorge de Moragas as Chief Financial Officer, Mr. Michele Ferro as Chief Industrial and Supply Officer, Mr. Fabrizio Minneci as Chief Legal Officer, Mr. Briano Olivares as Chief Global Brand Officer, Mr. Aldo Uva as Chief Operating Officer Strategic Business Units. “I am sure that the new Governance will boost our Company’s growth whilst staying true to our roots. This will be the essential step to combine “the best of our worlds”: our distinctive entrepreneurship, our managerial excellence and the quality of all our people, the perfect blend for success.” concluded Mr. Ferrero. Ferrero, together with other eleven world's leading cocoa and chocolate companies, signed a statement of collective intent committing to work together so as to end deforestation and forest degradation in the global cocoa supply chain, with an initial focus on Côte d’Ivoire and Ghana. The agreement, concluded during a meeting hosted by HRH The Prince of Wales and organized by World Cocoa Foundation (WCF), IDH-the Sustainable Trade Initiative (IDH) and The Prince's International Sustainability Unit (ISU), is the first of its kind covering the global cocoa supply chain. It aims to develop an actionable suite of measures to end deforestation and forest degradation, including greater investments in more sustainable forms of landscape management; more active efforts in partnership with others to protect and restore forests in the cocoa landscape; and significant investments in programs to improve cocoa productivity for smallholder farmers working in the cocoa supply chain. Côte d’Ivoire and Ghana are the world’s leading producers of cocoa, and many observers point to cocoa farming as a driving force behind rapid rates of deforestation in both countries. Ferrero International S.A. (“Ferrero”), the Italian confectionery group, today announced a definitive agreement pursuant to which Ferrero will acquire Fannie May Confections Brands (“Fannie May”), a U.S. premium chocolate confectionery manufacturer of the Fannie May and Harry London brands, from 1-800-FLOWERS.COM, Inc. (NASDAQ: FLWS) (“1-800-Flowers”). Additionally, Ferrero will enter into a strategic commercial partnership agreement, to be signed on or before the transaction close, to include selected Ferrero and Fannie May products in 1-800-Flowers gift baskets, towers and on e-commerce sites. Ferrero and Fannie May share long histories and strong track records of growing premium confectionery brands with loyal followings. Fannie May is a manufacturer of premium chocolates and confections and was founded in 1920 in Chicago, Illinois. Over nearly 100 years, the company has grown into one of the most well-known and loved premium confectionery brands in the Midwestern United States. Currently owned by 1-800-Flowers, a multi-brand provider of gourmet and floral gifts, Fannie May’s primary distribution channels include online – leveraging 1-800-Flowers.com’s e-commerce platform – telephone, QVC home shopping channel, a network of 80 retail stores operated by Fannie May, conventional retail, and private label/contract manufacturing activities. The company operates a production facility in Ohio and distribution centers in Ohio and Illinois, and employs 750 people full-time, with additional seasonal hires. Founded in 1946, Ferrero is the third-largest company in the global chocolate confectionery market, with expected global sales overcoming $11 billion, distribution across over 160 countries, and a workforce of more than 30,000 people across 53 countries. Ferrero entered the U.S. in 1969 with Tic Tac® breath mints, which have become an icon in the U.S. breath mint market. The company subsequently introduced Ferrero Rocher® pralines and Nutella® hazelnut spread. Following the transaction close, Fannie May will operate as a standalone entity and brand within the Ferrero Group, with support from Ferrero U.S.A., Inc. as needed. Ferrero plans to maintain Fannie May’s plant in Ohio, as well as its distribution centers in Ohio and Illinois. Ferrero will continue to operate a network of Fannie May retail stores, with plans to grow the network over time. Ferrero intends to work with the existing Fannie May management team on a go-forward basis. Ferrero will maintain its U.S. headquarters in Parsippany, New Jersey and its assembly and packaging facility in Somerset, New Jersey. The transaction is subject to customary closing conditions and regulatory approvals, and is expected to close by the end of May. Davis Polk & Wardwell LLP served as legal counsel to Ferrero. 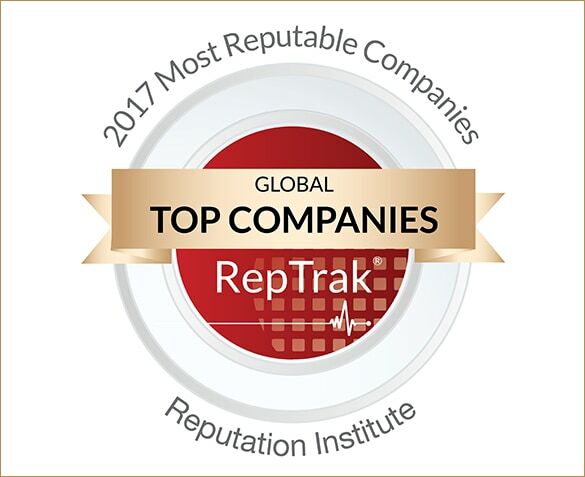 Reputation Institute's Global RepTrak® 100 has uncovered the world's most reputable companies confirming Ferrero as the top Italian company in terms of reputation in its listings for 2017. This year Ferrero is again the first company in the food industry. Moreover, it gained one position ranking in 17th place in the worldwide list, with a score of 75.45. Giovanni Ferrero, CEO of the Ferrero Group comments: "We are proud of the trust that consumers throughout the world confirmed also this year ranking us - in terms of reputation - at the first place in the world as a food company as well as an Italian company. It is the confirmation that 'quality first' is the real key to success ". The RepTrak® model measures the consumers’ perception of the world's largest companies, based on a scale that takes into account seven dimensions: products and services, innovation, workplace, governance, social responsibility, leadership and performance. Based on over 170,000 ratings collected in the first quarter of 2017, the survey is the largest corporate reputation study of its kind, and includes comparative ratings, trends by demographic cuts, and unique insights into which companies are best regarded by stakeholders as well as what drives trust and supportive behaviors such as willingness to purchase a company’s products, recommend the brand, invest in or even work for the company. In 2016 Ferrero chose to modify its palm oil supply base. In light of these supply changes, we had to revise and even restart activities aimed at full traceability previously achieved in December 2015. However, we are pleased to confirm that between January – June 2016 Ferrero reached 100% traceability of its palm oil sources to 86 mills and 98.5% traceability to 447 plantations. In total we have about 36,500 smallholders in our supply chain. Ferrero sources its palm oil supplies accordingly: Malaysia (92.46% of our certified RSPO Segregated volumes), Papua New Guinea (5.97%), Brazil (0.64%), Indonesia (0.51%), Costa Rica (0.15%); Colombia (0.09%), Guatemala (0.09%); Salomon Islands (0.05%), Honduras (0.04%). The achieved traceability means that by the end of 2016, we have been able to identify the name, ownership and the location of the supplying plantations, including coordinates. Furthermore, we have systematically started collecting the maps of plantations, where data was available from official sources. High level of traceability is key to verify the implementation of the Palm Oil Charter and embedded POIG requirements. In October 2016, Ferrero started a pilot project called “Starling”, in order to test remote sensing technologies for monitoring forest cover change. Starling is a new service developed by a consortium between Airbus Defence and Space, The Forest Trust (TFT) and SarVision. Remote sensing technologies available today are able to differentiate between replanting and deforestation. Satellite and radar images taken in near-real time at regular intervals can be used to monitor land use change over a given time. It is anticipated for the long-term that geospatial assessments like Starling can provide a credible tool to check if suppliers comply with Ferrero’s no-deforestation principles. In April 2015, Ferrero endorsed the HCS Approach (HCSA), a methodology launched by a large platform of stakeholders enabling companies to understand forest areas for protection from degraded lands with low carbon and biodiversity values that may be developed. In this context, Ferrero welcomes the agreement reached in November 2016 on the convergence between the HCSA and HCS+ approaches “on a single, coherent set of principles for implementation of companies’ commitments to “no deforestation” in their palm oil operations and supply chains”. The revised HCSA toolkit, available in early 2017, will give indications on how to delink deforestation from the palm oil production. In order to provide our suppliers with effective guidelines to comply with the ‘no exploitation’ requirements of the Ferrero Charter, in April 2016 Ferrero endorsed the "Free and Fair Labor in Palm Oil Production: Principles and Implementation Guidance“. The document was released in March 2015 by a wide alliance of international human rights and environmental organizations gathering around a common platform as it pertains to fair labor working conditions. In November 2016 this document then led to the launch of the POIG Publication “Palm Oil innovations: Labour Rights”, which Ferrero, as a POIG member, integrated into its Charter. The document outlines how to ensure that the rights of workers are respected by palm oil growers. It also advises the RSPO on how to reinforce its current Principles & Criteria on this topic in the upcoming review. • Visiting priority plantations: with the availability of the new traceability data, we have completed the desktop assessment of suppliers, identifying their status on social and environmental topics, any gaps compared to the Charter and the recommended action plans for them. This assessment enables us to identify the priority plantations to visit in first half 2017 in order to discuss and improve their activities. • After the completion of these visits, we will be able to start running the third party verification process according to the “Ferrero Verification Protocol” with the support of a leading, external service provider. It will help determine if our suppliers are effectively meeting the Ferrero Palm Oil Charter requirements to protect forests, biodiversity, local communities and workers’ rights. • The Ferrero Palm Oil Dashboard: traceability data, progress with our suppliers, maps and assessments will be assembled to create the “Ferrero Palm Oil Dashboard”, as part of our journey towards transparency. Ferrero has a “Zero tolerance approach” towards child labour and is committed to protect children’s rights all along its supply chain, as stated in its Code of Business Conduct. Ferrero has always been fully committed to fighting against child labor, with the conviction that every child should be protected, by all possible means, from economic exploitation, which is an abominable phenomenon. Ferrero suppliers are contractually required to comply with the Ferrero’s Code of Business Conduct. If cases of child labor are reported, as recently happened, the contract is automatically terminated and the case reported to the appropriate authorities. Ferrero’s Code of Business Conduct is coherent with the principles of the ILO’s Minimum Age Convention No. 138 and the Worst Forms of Child Labour Convention No. 182. Moreover, Ferrero already strongly supports the protection of the rights of children all over the world, through the objectives indicated in the Ten Principles of the United Nations Global Compact, to which the Ferrero Group has officially adhered. Ferrero’s Code of Business Conduct is available at www.ferrero.com/social-responsibility/code-business-conduct. Currently, the Group is working with the following certification standards: UTZ, Rainforest Alliance Certified™ and Fairtrade. UTZ certification means sustainable agriculture and better opportunities for farmers, their families and the planet. The UTZ program enhances farmers’ knowledge of good agricultural practices, improves working con-ditions and ensure they care for their children and the environment. Through UTZ, farmers grow better crops and enjoy a higher income, which creates better opportunities for them and their families, preserves the environment and protects the earth’s natural resources. Rainforest Alliance Certified™ farms support a healthy environment, promote the well-being of workers and their communities and ensure efficient farming methods. Farm workers benefit from safe working conditions and housing, medical care and access to schools for their children. Certification helps ensure the protection of ecosystems, including wildlife habitats, water and soil. 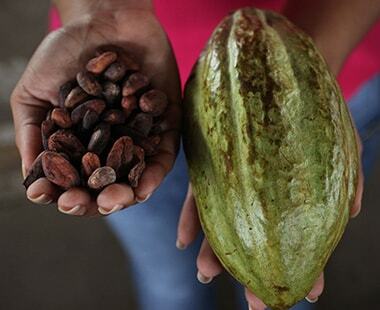 The Fairtrade Cocoa Program enables small-scale farmers to benefit by selling more of their cocoa as Fairtrade. For more info, visit www.info.fairtrade.net/program. Within the Fairtrade Sourcing Program terms, in 2016 Ferrero decided to double the amount of cocoa it purchases from Fairtrade farmers – to 40,000 metric tonnes over the next three years. Moreover, Ferrero collaborates with non-profit and farmer organizations to address agricultural, social, environmental and business issues in cocoa farming. Ferrero also supports ongoing local projects to ensure sustainable cocoa production, whilst improving cocoa farmers’ living conditions and the well-being of their communities. Following are some examples of these on-the-ground projects. aimed at the protection and education of child labour victims on cocoa farms in the south-west of the Ivory Coast, by enhancing alternative educational pathways to child labor. sourcing Fairtrade certified and sustainable cocoa from ECOOKIM in the Ivory Coast, with the aim to support further social and sustainable development of the cocoa farming communities and improve their well-being. Supplier ECOOKIM’s engaged in programme to prevent child labour in cocoa communities and promote the well-being of children, through the establishment of a Child Labour committee to conduct awareness-raising activities, develop a child protection policy as well as improve child education. to improve the livelihoods and well-being of cocoa farming families in Ghana, through the reduction of the worst forms of child labour and the increase in household income. aimed at improving the livelihood of cocoa farmers in western Nigeria, through technical training on best agricultural cocoa practices as well as awareness-raising activities on social issues such as child labour, to address and eliminate them. Furthermore Ferrero is a partner of collective public/private platforms, such as the International Cocoa Initiative (ICI) and the World Cocoa Foundation’s “Cocoa Action” Strategy, whose interventions seek to reduce the occurrence of farm-level practices that have in the past involved the use of children. Ferrero believes that Cocoa Action’s strength lies in combining community development and farmer productivity with the intention of raising farm-level incomes, an approach that should see change in cocoa-growing communities and a reduction in the use of child labor in West Africa. For more information please refer to our CSR Report. The English version is available and can be downloaded at www.ferrerocsr.com. Ferrero is pleased to inform that on 28th November the POIG – Palm Oil Innovation Group - released the publication “Palm Oil Innovations: Labour Rights” which defines concrete steps to ensure the management of worker exploitation issues in the palm oil sector. As a POIG member, Ferrero welcomes the release of this document, which represents the first publication on the innovations to break the link between palm oil production and the destruction of forests and peatlands, the exploitation of communities and workers, and climate change. This document was guided by the “Free and Fair Labor in Palm Oil Production Principles and Implementation Guidance”, a document developed by a wide platform of representatives of civil society, which indicates how to ensure that the rights of workers are respected. The document describes improvements that can be put into practice by palm oil growers and the RSPO to reinforce its current Principles & Criteria on the workers’ right. - Providing access to accessible, equitable and legitimate grievance mechanisms. In 2013, Ferrero launched its Palm Oil Charter to also address the possible violations of labour rights in the plantations it supplies from. Whilst in 2015, Ferrero endorsed the “Free and Fair Labor in Palm Oil Production Principles and Implementation Guidance”. Thus acknowledging the importance of ensuring responsible labour practices in its palm oil supply chain and supporting an ongoing dialogue with its suppliers to ensure responsible palm oil production and facilitate the implementation of its Charter. Ferrero recognizes that fair labour conditions are one of the key priorities in the palm oil sector. Ferrero suppliers and their supply chains are now asked within the Ferrero Verification Protocol to adhere and implement the “Palm Oil Innovations: Labour Rights”. To download the POIG press statement, please click here. Ferrero recognizes that deforestation and forest degradation is a critical issue of the global cocoa supply chain. Following the allegations made by the British newspaper The Sun, Ferrero immediately initiated a thorough investigation. While the investigation continues, no evidence of child labor has been found to date. However, inconsistencies with Ferrero policies and contracts have nevertheless surfaced. Ferrero has therefore ordered the termination, with immediate effect, of any relationship with the subcontractor Prolegis in Romania. In order not to penalize legitimate workers who have nothing to do with this, Ferrero is ensuring that they will not be unfairly affected. The allegations made by The Sun contradict Ferrero Group’s strict quality, social and ethical requirements which all our contractual partners must comply with. The involvement of children, no matter if directly or indirectly, is strictly forbidden to all suppliers in all parts of the production process. Every supplier must implement processes in order to verify the age of its staff, and must document this in its records. This is audited by SGS, who are the world's leading inspection, verification, testing and certification company. The last audit, in May 2016, confirmed that the Ferrero code was being strictly complied with. The hygienic conditions described in The Sun article by no means correspond to Ferrero’s strict quality regulations and standards. All our products are subject to the most stringent safety and quality checks before being marketed. These include regular internal and external controls of the hygienic standards. 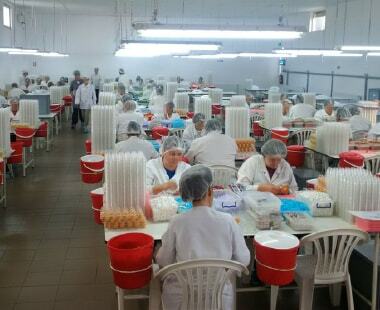 The Kinder surprise eggs are filled, under proper hygienic conditions, by staff in the plants (see photos). The production of the egg (both the chocolate and the filled yellow capsule) are in particular checked with regards to any potential microbiological contamination every 2 hours. Our own laboratories perform these checks. Following the allegations made by the British newspaper The Sun, Ferrero immediately initiated a thorough investigation. Ferrero and EcoVadis announced the renewal of their partnership to assess and improve supply chain sustainability performance over the next three years. Ferrero recognizes that every stakeholder along the value chain has its respective responsibility – and all must work together towards the common objective of creating sustainable and responsible supply chains. The company is strongly committed to sustainability and is convinced that dedication from suppliers is key to achieving sustainable supply chains. 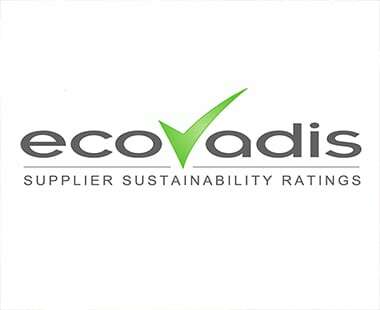 As part of its responsible sourcing practices, Ferrero decided to implement a simple process to monitor and rate the environmental, social, and ethical performance of suppliers through the EcoVadis Supplier Sustainability Assessment Platform. The methodology covers 21 criteria across four main themes: environment, social, fair business, and sustainable procurement practices. They are based upon internationally recognized standards and are in line with Ferrero’s Code of Business Conduct and Code of Ethics. The EcoVadis Solution allows Ferrero to better understand and monitor risks in its supply chains, while identifying best supplier practices and improvement potentials. The reliable rating platform also provides suppliers with a detailed analysis of their performance, allowing them to benchmark their position against sectorial practices and to manage their corrective actions effectively. The key objective of monitoring suppliers’ sustainability performance is to verify excellence in their activities and, where necessary, leverage on the influence of Ferrero’s supply chains to encourage a better performance. Based on a collaborative approach, the company aims at promoting best practices and fostering long-term relationships with suppliers through engagement. A pilot assessment project covering approximately 60 strategic suppliers was completed in mid-2016. After its success, Ferrero confirms its commitment to adopt the EcoVadis Assessment Model as the tool to assess and improve its suppliers’ sustainability performance. “All stakeholders along the value chain must work together to achieve sustainable supply chain. One of Ferrero’s approaches to sustainable sourcing practices is strengthening collective engagement with suppliers. Therefore, it is essential to collaborate joint efforts with suppliers to be successful in achieving our commitments. Embedding EcoVadis Supplier Assessment Methodology in our approach helps us to assess and improve environmental, social and ethical performances across the supply chains, while establishing a platform to share best practices,” said Aldo Cristiano, Sustainability Director at Ferrero. "Ferrero's sustainable procurement initiative is off to a great start with a 67% participation rate from direct commodity suppliers " said Pierre-Francois Thaler, Co-CEO of EcoVadis. "We strive to help Ferrero combine EcoVadis ratings with their proactive collaboration with suppliers to improve performance across all corporate social responsibility topics, and drive positive change in the communities from which they source." On 21st September, the WWF International Palm Oil Scorecard 2016 was published and has placed the Ferrero Group as a top scorer among 137 global companies, which were all assessed according to their sustainability actions in the palm oil sector during 2015. Specifically, in recent months WWF has analyzed companies in Europe, North America, Australia and Japan to understand their progress on the certification of palm oil as well as on key actions to ensure a responsible use of palm oil. Through this survey, Ferrero has obtained a score of 9 points out of 9 and has been labelled as ‘Leading the way’ to the ultimate sustainability goal for the industry – that certified sustainable palm oil becomes the standard commodity grade for all companies. This result derives from having met our certification objective in January 2015, ensuring that the final product physically contains 100% RSPO Segregated palm oil, as well as from its additional sustainability actions. Indeed, in line with our consumers’ and employees’ values and expectations, in 2013 we launched the Ferrero Palm Oil Charter listing the key single topics to be managed, in order to secure a sustainable palm oil supply chain. Since then, Ferrero’s partnership with TFT has been allowing us to turn our commitments into grounded actions, such as conducting field visits in the plantations we source from. Key to this progress is the continuous dialogue and engagement of our suppliers throughout the journey. Ferrero is committed to engage and support its suppliers to develop, implement and follow-up a pragmatic and long-term action plan in order to address the Charter requirements in their own and third party estates. The next step will involve third party verification of the implementation of the Charter requirements. Furthermore, Ferrero’s membership with the POIG in November 2015 represented a further step to carry out its sustainability commitments and actions on a credible and innovative platform. Ferrero shares the POIG’s vision to “break the link between palm oil and deforestation, and human, land and labor rights violations.”(www.poig.org), and in line with this vision, we proceeded by supporting the HCS Approach and the "Free and Fair Labor in Palm Oil Production: Principles and Implementation Guidance". Endorsed respectively in April 2015 and April 2016, both of these toolkits provide practical guidance for our suppliers in addressing our ‘no deforestation-no exploitation’ Charter requirements. Finally, the result achieved in the WWF Scorecard is relevant to us because it underpins the importance of our journey towards responsible palm oil, further fueling our determination to succeed and renew our commitment in this direction. We at Ferrero are celebrating our 70th Anniversary. It goes without saying that this result is embedded in the strong legacy and values coming from Ferrero’s inherent commitment to be a responsible player in the global market. What are the Ferrero milestones towards responsible palm oil? 2013 – November – Ferrero launches the Palm Oil Charter and becomes a member of The Forest Trust. 2014 – November – Ferrero becomes Palm Oil Innovation Group (POIG) supporter. 2014 – November –Ferrero acknowledges some remaining issues in the plantations it sources from and agree on action plan with its suppliers. 2015 – January – all Ferrero products worldwide are RSPO certified under the Segregated supply chain – which means that they physically contain sustainable palm oil from certified. 2015 – April – Ferrero endorses the High Carbon Stock (HCS) Approach the toolkit on how to identify tropical forests for conservation and degraded lands for potential plantation development. 2015 – October – Ferrero knows the mills and related plantations of origin for 99.5 % of the palm oil products it buys. 2015 – November – Ferrero becomes Palm Oil Innovation Group (POIG) member. 2016 – March - Ferrero endorses the "Free and Fair Labor in Palm Oil Production: Principles and Implementation Guidance"
Ferrero has always given the utmost importance to offering consumers products of the highest quality, freshness and food safety. What’s more, our products contain carefully selected raw materials that respect both people and planet. This is why in 2013 we launched the Ferrero Charter listing the key single topics to be managed, in order to secure a responsible palm oil supply chain. In line with our consumers’ and employees’ values and expectations, this step was then followed by the certification of 100% of the palm oil contained in our products worldwide. This was achieved in January 2015 according to the RSPO Segregated supply chain. However our engagement did not stop here. Aware of the responsibility that comes with having leading global Brands, we are committed to leveraging this position to transform and innovate the palm oil industry. Within this context, Ferrero’s membership with the POIG in November 2015 represented a natural step to carry out our commitments and actions on a credible and innovative platform. We, at Ferrero, share the POIG’s vision to “break the link between palm oil and deforestation, and human, land and labour rights violations.”(www.poig.org). In line with this vision we support the HCS Approach and the "Free and Fair Labor in Palm Oil Production: Principles and Implementation Guidance". Endorsed respectively in April 2015 and April 2016, both of these toolkits provide practical guidance for our suppliers in addressing our ‘no deforestation-no exploitation’ Charter requirements. Since 2013, the partnership with TFT allows us to turn our commitments into grounded actions, such as conducting field visits in the plantations we source from. Key to this progress is the continuous dialogue and engagement of our suppliers throughout the journey. In December 2015 Ferrero achieved 99.5% traceability to the plantations, with TFT’s support. Specifically, we recorded 63 mills and 301 plantations. It has proved to be an extremely powerful tool because it enables us to determine the status of our action plan. 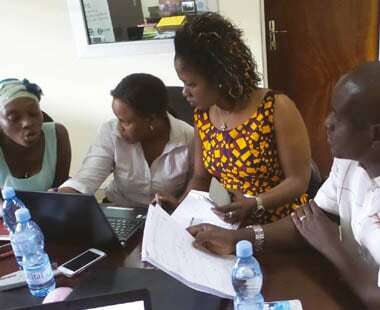 In fact, by identifying the specific plantations we can monitor how our suppliers are implementing our requests and then engage them in improvement actions when gaps are detected. However, this traceability achievement was threatened by the recent developments that have compelled Ferrero to largely revise its supply chain. Ferrero indeed requires its suppliers to act consistently in a sustainable manner. Even if unrelated to its supply chain, Ferrero considers it unacceptable if any supplier faces documented complaints, in contradiction with the values reflected in our Palm Oil Charter. Suppliers unprepared to engage or address compliance issues will be cut out of Ferrero’s supply chain. They have to provide evidence of change through concrete actions to be reconsidered. Ferrero has been managing this since early 2016, resulting in the suspension of its suppliers accounting for nearly 50% of its total palm oil volumes. This meant that Ferrero has had to drastically modify its sourcing strategy to continue to ensure 100% RSPO certified Segregated palm oil, supplying more from existing, reliable suppliers and from new ones. As the procurement situation gradually regains consistency, we will be updating the latest figures on traceability as soon as possible. The new full list of plantations we source from will allow us to continue in verifying the suppliers’ compliance with our Charter requirements. Ferrero has always given the utmost importance to offering consumers products of the highest quality and food safety. Ferrero guarantees its products are safe for consumers. They comply fully with the food safety requirements of all the countries in which they are marketed and often exceed those requirements. Although the recently raised issue of mineral oil traces in food products has been known to the competent authorities and the food industry for several years, there is as yet no specific food safety regulation regarding this matter. The problem affects the packaging of virtually all foods: indeed, minimal traces of mineral oils occur everywhere in the environment. All Ferrero packaging fully complies with applicable legislation on food contact materials. However, in line with its tradition of continuous improvement, since 2013 Ferrero has been engaged in a process of review of all the packaging materials used, in order to guarantee the best quality delivery to consumers. Ferrero guarantees its products are safe for consumers. Italian confectionery company Ferrero will double the amount of cocoa it purchases from Fairtrade farmers – to 40,000 metric tonnes over the next three years. Speaking at the World Cocoa Conference, Ferrero also announced a new collaboration with Fairtrade on cane sugar, with plans to source 20,000 metric tonnes of Fairtrade cane sugar between mid-2016 and 2019. The Fairtrade Sourcing Programs enable cocoa, sugar and cotton farmers to sell more of their crops on Fairtrade terms, meaning more benefits for them and their communities. Through the Programs, farmers can sell their crops to the growing number of companies that are committed to sourcing a key commodity fairly and sustainably, to use across product ranges or even their whole business. Farmers benefit from all the same Fairtrade Standards. “Long-term partnerships with companies such as Ferrero enable small-scale farmers to plan for their future. This kind of stability is an important factor in driving sustainable development,” said Marina Vanin. “Farmers need access to market information and technical knowledge to ensure long-lasting, sustainable supply chains”. Training and programmes tailored to local needs are a key part of Fairtrade’s strategy to enable small-scale farmer organizations to grow and flourish. Ferrero has sourced cocoa from Fairtrade cooperatives in Cote D’Ivoire since 2014, making it possible for them to sell a substantially higher proportion of their crops on Fairtrade terms. Training on good agricultural practices has helps the cooperative members to increase their productivity and the quality of their cocoa. Fairtrade also provides cooperatives with inclusive training on gender equality and child rights. Projects to prevent child labour build on the capacity of children and youth to contribute to self-monitoring, managing and tackling child labour within their own lives and farming communities. The impact of Fairtrade, and of Ferrero’s sourcing commitment, on cocoa cooperatives is regularly monitored and evaluated, to ensure long-term impact. More than 62,000 small-scale farmers across 19 countries produce Fairtrade certified sugar, in regions such as Central America, Southern Africa, the Caribbean and the Pacific. Sugar farmers received 10.2 million euros of Fairtrade Premium globally in 2014, money which they can reinvest in organizational infrastructure, training, improvements in productivity or good agricultural practices. Fairtrade supports networking and collaboration between small-scale sugar farmers within and across continents, recognizing that they often face the same challenges. Long-term commitments of confectionary brands such as Ferrero enable sugar farmers to strengthen their position in a highly volatile market, especially now as policy changes are severely impacting imports of sugar to Europe putting the livelihoods of hundreds of thousands of farmers in developing countries at risk. 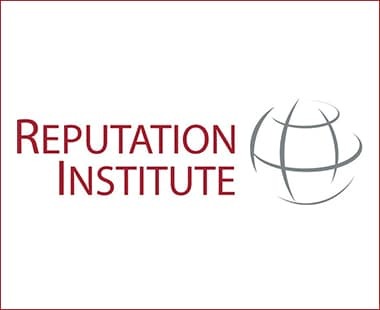 Reputation Institute's Global RepTrak® 100 has uncovered the world's most reputable companies ranking Ferrero as the top Italian company in terms of reputation in its listings for 2016. Ferrero is in 18th place in the worldwide list, and with a ranking equal to 74.8 results to be the first company in the food industry among the 100 best reputable companies in the world. Overall the top-ranked company is Swiss watch maker Rolex, followed by U.S. entertainment firm Walt Disney and internet services provider Google. The RepTrak® method of analysis measures the consumers’ perception of the world's largest companies, based on a scale that takes into account seven dimensions: products and services, innovation, workplace, governance, social responsibility, leadership and performance. The study was conducted in the first quarter of 2016 through 61,000 interviews with consumers collecting more than 240,000 ratings data in 15 countries (Australia, Brazil, Canada, China, France, Germany, India, Italy, Japan, Mexico, Russia, South Korea, Spain, the UK and the US). Global palm oil production is dominated by Indonesia and Malaysia. These two countries together account for around 85 to 90 percent of total global palm oil production.This sector is labor intensive and the palm oil industry is one of the most significant employers in Indonesia and Malaysia. It is important to be sure that fair labor practices and labor rights are embedded in palm oil production. This explains why there is an increasing consensus for a widely agreed upon standard for fair labor principles in the palm oil sector towards improving the conditions of all workers, including casual, migrant and women workers. The Ferrero’s Charter launched on 2013 November 11th, also includes specific requirements regarding the working conditions topic in the plantations we source from. 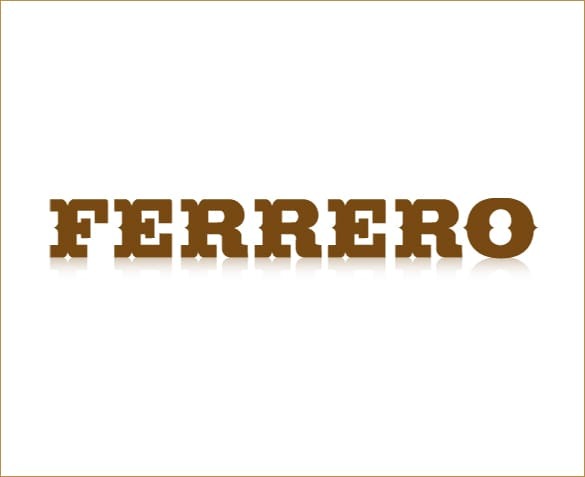 It states that Ferrero is committed to making sure that its suppliers comply in “Recognizing, respecting and strengthening the rights of workers” according to defined ILO conventions. Since then, considerable resources have been dedicated to map Ferrero’s palm oil supply chain in order to identify the major gaps concerning the Charter. In 2014 our teams, with TFT's support, started visiting priority mills and carrying out documentation verification and field visits in the supplying plantations, covering around 76% of our palm oil supply. In 2015 Ferrero and TFT followed up on the time-bound action plan and it was found that 3 of the 4 suppliers had taken considerable measures to address the issues found in 2014 including reviewing workers’ conditions according to specific ILO conventions evaluated at the time of our Charter’s launch. Further discussions with the fourth supplier have been carried out in order to finalize the priorities in the action plan within a defined deadline. Understanding the current situation is imperative to ensure that the rights of palm oil workers are respected and that they have the opportunity to earn a fair livelihood for themselves and their families. Ferrero acknowledges the importance of ensuring responsible labor practices in its palm oil supply chain and the Group intends to support an ongoing dialogue with suppliers on responsible palm oil production thus facilitating the Ferrero Charter implementation. For this purpose, Ferrero has consulted the main documents developed by the principal stakeholders: ILO conventions, RSPO standards, TFT “No Exploitation” Guidelines as well as the "Free and Fair Labor in Palm Oil Production: Principles and Implementation Guidance" released in March 2015 by a wide alliance of international human rights and environmental organizations gathering around a common platform as it pertains to fair labor working conditions. This document provides a common point of reference on what constitutes free and fair labor in palm oil production based on the frameworks enshrined in ILO core conventions and the UN Guiding Principles on Business and Human Rights, and it builds on the existing standard established by the RSPO. 1. The International Labor Organization (ILO) Core Conventions are upheld. 2. Ethical hiring and responsible employment are practiced. 3. Reasonable production targets, working hours, and leave entitlements are established. 4. A living wage is paid. 5. Worker health and safety and the welfare of workers and their families are prioritized. 6. Access to remedy is guaranteed. 7. Commit to meaningful due diligence, transparency, and disclosure of human rights policies, procedures, and data, with a focus on labor and employment. In view of the above listed principles we also recommend our suppliers to use the “Free and Fair Labor in Palm Oil Production: Implementation Guidance” which describes the 12 steps companies need to take for operationalizing the Principles. In endorsing the "Free and Fair Labor in Palm Oil Production: Principles and Implementation Guidance", starting in March 2016, Ferrero will engage and support its suppliers to develop, implement and follow-up a pragmatic and long-term oriented action plan in order to address the issues in their own and third party estates. It is important to be sure that fair labor practices and labor rights are embedded in palm oil production. 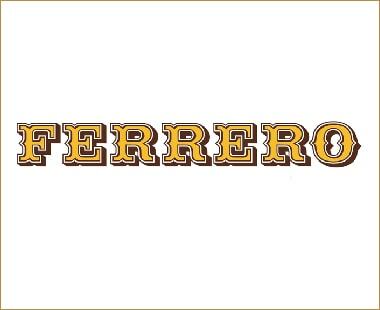 Ferrero International S.A., parent company of the Ferrero Group, approved the Consolidated Financial Statements of the Group as of and for the year ending August 31, 2015. At that date, the Group was consolidating 78 subsidiaries worldwide, with 22 operating manufacturing plants, of which three operating within the framework of the Social Enterprises. Ferrero products are present directly or through authorised distributors in over 160 countries. The Group, of which Mr. Giovanni Ferrero is the Chief Executive Officer, closed the financial year with a consolidated turnover of 9,542 million Euros, indicating an increase of +13.4% compared to the previous year, which reported a consolidated turnover of 8,412 million Euros. Despite the well-known difficulties on the international scene, this growth reflected exceptional dynamism in the development of new markets: sales of Ferrero products confirmed and, in some cases improved on, the outstanding results achieved in recent years in Asia, Middle East, the United States, Canada, Mexico and Australia. The sales achieved in some European markets such as the UK, Poland and Germany have been excellent. The main Latin markets (in Europe and South America) showed good recovery, with the exception of Italy, which remained essentially flat. The Russian market was seriously affected by the rouble's hefty devaluation. In terms of products, “Kinder Joy” (known as “Kinder Merendero” in Italy), Nutella, Ferrero Rocher, Tic Tac and Kinder Surprise achieved particularly positive performances. The Group presented a profit before tax of 889 million Euros (-2.0% compared to the previous year); despite a slight increase in the operating income, the financial result was significantly impacted by the fluctuation of the currency exchange rates. 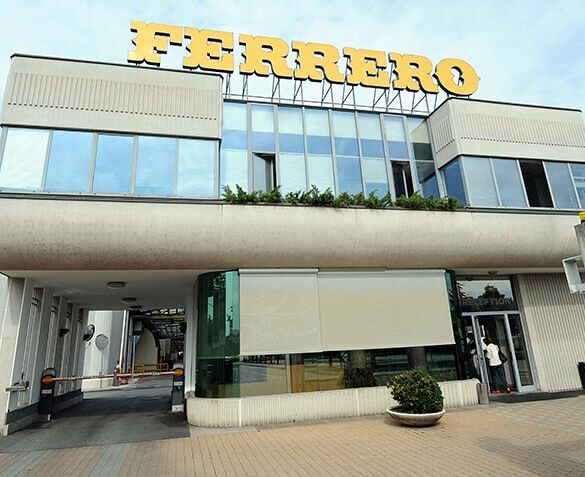 The new investments made by Ferrero during the last financial year came to 646 million Euros of which 557 million (5.8% of sales) were used to strengthen the Group’s industrial and production activities, mainly in China, Italy, Germany, Poland, India and Brazil. The Ferrero Group continued to strengthen its presence in the hazelnut market in order to guarantee and improve the quality of this fundamental raw material and to provide a unique taste in products such as Nutella, Ferrero Rocher and Kinder Bueno. In 2015, the Group completed the purchase of all of the equity interest in the Oltan Group, a market leader in the supply, processing and sale of hazelnuts, with an annual turnover of around 500 million US Dollars. Moreover, in 2015 the Group completed, through a recommended cash offer, the acquisition of Thorntons Plc, an important British player with an annual turnover of around 300 million Euro, founded in 1911 and operating in the chocolate confectionery industry. The Group's average workforce in 2014/2015 was 25,784, increasing yet again from 24,836 employees in 2013/2014. The headcount as of August 31, 2015 amounted to 33,219 employees (including acquired companies), compared with 27,457 as of August 31, 2014. When also including external collaborators, the total reaches 40,721 people. Greenpeace International has released its latest scorecard, and Ferrero has been categorized as ‘on track’ to ending deforestation for its sustainable palm oil efforts. Having surveyed 14 global consumer goods manufacturers with ‘no deforestation’ policies in place, Greenpeace has analyzed how they are progressing in the implementation of their policies and their direct impact on the ground. Ferrero, in addition to being identified as the only company to be able to trace nearly 100% of its palm oil back to the plantations, was recognized as one of the leading companies with a strong responsible sourcing and industry reform strategy. This affirms the positive and effective progress of Ferrero’s long term and multifaceted palm oil strategy, through which Ferrero is dedicated to only sourcing palm oil that aims to protect forests, their biodiversity and people who get a living from them. As part of this strategy, Ferrero launched its Palm Oil Charter in 2013, it achieved its objective to have products with 100% sustainable RSPO certified as segregated palm oil at the end of 2014, and became a member of the POIG in 2015. Ferrero will continue on its journey towards the full sustainability of its palm oil supply chain, engaged with industry and non-profit organizations through responsible and transparent actions, giving its relentless contribution to the sustainable innovation of the palm oil industry. Greenpeace International has released its latest scorecard, and Ferrero has been categorized as ‘on track’. Palm oil grabs the headlines for the environmental and social impacts caused through production. However some actors of the industry are taking action to address the whole range of issues that palm oil production is facing. We, at Ferrero, launched our Palm Oil Charter in November 2013 in order to bring palm oil production towards responsible practices which protects and maintains High Carbon Stock forest and key habitats (High Conservation Value areas and peat lands), as well as respecting human rights. In order to achieve this, it is fundamental to know where the palm oil comes from to thus be able to identify where improvement is needed. We believe it important to assure our consumers that the palm oil in our products does not contribute to deforestation or the exploitation of communities and workers. For this reason Ferrero is working with its partner, TFT, to reach full traceability to the palm oil plantations we source from. This means we have identified each actor along the supply chain, down to the plantations growing the Fresh Fruit Bunches from which the palm oil used in our products is squeezed and further processed. Together with TFT, we have assessed our suppliers’ performance in line with our Charter. After this evaluation, an action plan was agreed with each supplier in order to support the transformation of their practices with our Charter. A further step forward on our journey to responsible palm was our membership with the Palm Oil Innovation Group (POIG) in November 2015. The POIG binds non-governmental-organisations, consumer companies and palm oil producers to a comprehensive action plan through new business practices that protect wildlife, forests and peatlands, as well preventing the violation of local communities and workers. In 2015 Ferrero achieved its objective of certifying 100% of its palm oil volumes as well as its entire supply chain and production line as segregated by the RSPO. 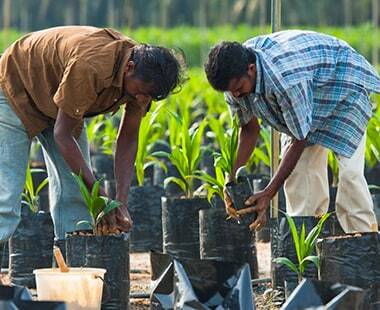 This ensures that 100 % of the palm oil used in our products comes from RSPO certified palm plantations. In line with our Charter’s aim to better understand our supply chain and consequently protect the forests and peoples’ rights, we have worked with TFT to engage with our suppliers and to build visibility on the palm oil mills and the plantations we are buying from. The first step in this process of increased visibility is full traceability. To date (December 2015) we have reached traceability to 99.5 % of the plantations we source our palm oil from. The traceability to the plantations means we know the name of the estates and of the parent companies which manage it, as well as their GPS coordinates. Our current records show that this 99.5% of our palm oil supply comes from 63 mills and 301 plantations located in: Peninsula Malaysia (75.87% of total volumes), Papua New Guinea (18.17%), Insular Malaysia (3.67%), Brazil (1.2%), Indonesia (0.91%), Guatemala (0.1%) and the Solomon Islands (0.08%). From our analysis 6.34% of the palm oil volumes we buy are coming from approximately 20,941 smallholders or small farmers. The Charter: a comprehensive tool to face the whole range of challenges. We have been working towards a responsible supply of palm oil since 2005. At that time our first strategy involved sourcing RSPO certified as segregated palm oil. Despite already achieving this 100% RSPO segregated certified palm oil objective in 2015, we didn't stop there. Since November 2013 our commitment has gone beyond the certification scheme through our palm oil Charter, which lists Principles based on the respect of human rights and protection of forests that we expect our suppliers to meet. We also became a member of TFT, a global non-profit organisation, whose role is to support us in implementing our commitment on the ground. Once aware of the origin of the palm oil we buy, together with TFT, we were able to conduct desktop evaluations of the performance of identified plantation companies in relation to forest protection, peat soils management and other environmental and social factors. This has helped to identify priority suppliers to engage with - those who potentially need additional support to close the gaps with our Charter. We have started working in the estates we supply from in order to assure our consumers that the palm oil in our products does not contribute to deforestation as well as the exploitation of communities and workers. In 2014 our teams, with TFT's support, started visiting priority mills and carrying out documentation verification and field visits in the supplying plantations, with four supplier group companies in Peninsula Malaysia (covering75.49% of our palm oil supply). At the end of each visit, a meeting was held with the suppliers to advise them of any issues found related to our Charter, and to establish and discuss a time-bound action plan with each grower. In 2015 Ferrero and TFT followed up on the action plan and it was found that 3 of the 4 suppliers had taken considerable measures to address the issues found in 2014 such as performing HCS assessment, stop burning, reviewing workers’ conditions, providing drinkable water to workers, improve grievance procedures, and develop responsible palm oil policies at a Group level. Further discussions with the fourth supplier have been carried out in order to finalize the priorities in the action plan within a defined deadline. Given the relevance and sensitivity of the topics raised, meetings on monthly-basis have been planned in 2016 in order to continue in working closely on improvements and to provide support. To summarize, currently, Ferrero's supply chain may essentially be impacted by weak labor conditions and inappropriate small holder practices. The complexity of these issues does not allow for one-size-fits-all solution. Ferrero will engage with its suppliers in order to work and progress towards long term solutions. Beside Peninsula Malaysia, desktop evaluations for Indonesia, Insular Malaysia, Guatemala, PNG, have been carried out this year and the conclusion was that field visit aren't needed before launching the Verification Protocol. It is a monitoring system that is specifically designed to take into consideration the general weaknesses in our supply chain as well as in the palm oil industry. The two last years of our work with TFT have revealed the different layers of complexity of the implementation of our Charter depending on the suppliers. This charter works for Ferrero as a well-established tool for bringing our suppliers closer to better practices. 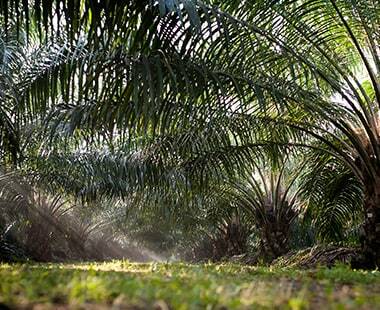 The level of visibility of the supply chain's performance that Ferrero has acquired since the publication of the charter allows us to take a further step forward on our journey to responsible palm oil. In order to further ensure that our charter's implementation is robust and credible, Ferrero, with TFT support, has developed a Verification Protocol, which describes the system Ferrero is putting in place to monitor compliance with the charter's Principles throughout our entire supply chain. Once the protocol is fully implemented, Ferrero will communicate the findings. In addition, an auditing company has been hired - as a 3rd party verification body - to validate the Protocol implementation and the information communicated (outcome, progress, etc). To date we have presented this document to all our suppliers in one-to-one meetings and shared it with international NGOs in order to receive their feedback. We aim to collect and consider all feedback to then launch the Verification Protocol during the first quarter of 2016. The first steps will include trialing the various means of monitoring for each of the Charter's principles and building a comprehensive communication tool to provide transparency to our activities on the ground. One of the pillars of the Palm Oil Charter is the inclusion of smallholder farmers in our supply chains. In the palm oil sector, they make up about 40 % of planted hectares but they are not always integrated into the market value chain, mainly when it is certified RSPO segregated. Indeed certification is difficult and not always profitable for small holders. Additionally there are challenges of linking diverse smallholders to formal markets. Specifically, larger plantations have long tried to improve efficiency and minimise costs by simplifying and standardising their supply bases - which often reduces opportunities for smallholders. With TFT, Ferrero is working to launch the Rurality initiative, focused on the cultural, ecological, and logistical diversity of smallholders’ work, to thus provide tailored support to enable them to be part of the market as well as improve their resilience. In 2015, with our direct supplier, ISF, and TFT, we have worked to identify and engage with potential communities within our supply chain to be part of the initiative. At present, 3 meetings have already been held in Peninsular Malaysia in order to present and discuss the approach. In 2016 Ferrero will continue this initiated work with our suppliers in order to launch such initiative. One year after becoming a POIG (Palm Oil Innovation Group) supporter, in November 2015 Ferrero became a POIG member. The POIG brings together environmental and social NGOs, palm oil companies and brands to push the boundaries of current RSPO requirements by establishing new business practices in the palm oil industry that end deforestation, the burning and development of peatlands and gross labour and human rights violations. Ferrero shares the same values and vision of the POIG and it has led us to continue to endorse the POIG innovative program to protect forests as well as communities and workers’ rights throughout the palm oil supply chain. Within a framework characterised by a wide array of no-deforestation initiatives and pledges, the POIG represents a comprehensive, comparable, credible and collaborative initiative addressing the whole range of challenges that the palm oil sector faces. 1. 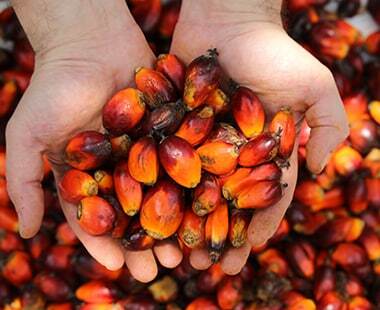 What are palm oil key facts? •	Palm oil and palm kernel oil represent 32 % of the global vegetable oil production. •	One palm tree produces 40 kilograms of palm oil every year. 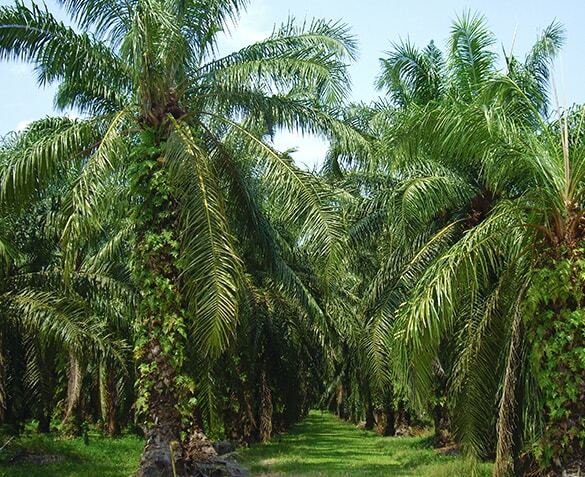 •	One hectare of oil palm trees can produce on average 3.7 tons of oil each year. •	Oil palm production accounts for 6 % of all cultivated land for vegetable oils globally, but has the highest output, producing 32 % of all oils and fats. •	Indonesia and Malaysia supply 85 % of the palm oil used globally. •	In Indonesia and Malaysia together, approximately 4.5 million people earn a living from palm oil. •	The use of palm oil in human nutrition dates back 10,000 years. 2. What are the Ferrero milestones towards responsible palm oil? 3. Do the Ferrero products contain certified palm oil? Yes, Ferrero products only contain sustainable palm oil, 100% certified segregated RSPO since January 2015. It means that the palm oil used in Ferrero products is kept separately from conventional palm oil along the whole supply chain. So Ferrero products physically contain certified sustainable palm oil. “In achieving 100% segregated certified sustainable palm oil within the context of the Roundtable on Sustainable Palm Oil, Ferrero has demonstrated that it is tackling tropical deforestation in a credible way" said Richard Holland, Director of WWF's Market Transformation Initiative. 4. Why does Ferrero use palm oil? •	The presence of palm oil can be adapted in different quantities to the requirements of each recipe, since some require more creamy fillings, others a crunchy texture, while some others both, and – what’s really important – without resorting to the hydrogenation process, which produces “trans fats” that have been recognized by the authorities and the scientific world as particularly harmful to health. •	It contributes to the balance among the other ingredients (such as hazelnuts, almonds) enhancing their taste, since it is odorless and tasteless, after the refining process. 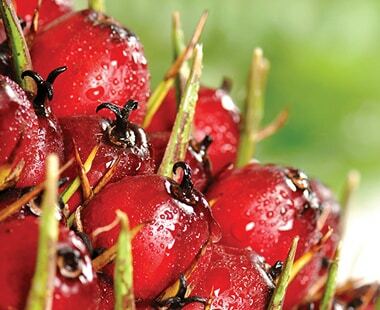 •	It helps to maintain the unique taste of Ferrero products along the whole shelf life, because of its higher stability to oxidation compared to other vegetable oils. A further step forward on our journey to responsible palm oil. 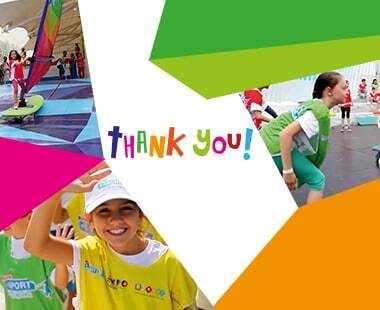 Thanks to all of you who made the Kinder+Sport experience at Expo Milano 2015 an unforgettable one. To all of you who made the Kinder+Sport experience at Expo Milano 2015 an unforgettable one. Thanks to all the families and schools for bringing the hundreds of thousands of children to the Kinder+Sport Area to discover the joy of moving through its educational path. Thanks to the Italian Olympic Committee, the Italian Ministry of Education and EXPO for sharing the Ferrero Group’s values of social responsibility which are inherent to this project, inspiring young generations to embrace an active lifestyle. Thanks to all professionals, to the staff, to more than 100 trainers and all our sport champions for contributing to the daily success of this Area as Ambassador of the Kinder+Sport values.